I suppose there are people somewhere who get tired of pictures of History Professor Al Van Helden acting goofy. I am not one of those people. This must be Baker Shakespeare, circa 1973. I feel like he’s really pulling this off. I’m totally buying it. Bonus: Hot video–the Physics Building. FYI: there will be a couple more scintillating looks at this building and the things in it. Try to wait patiently. 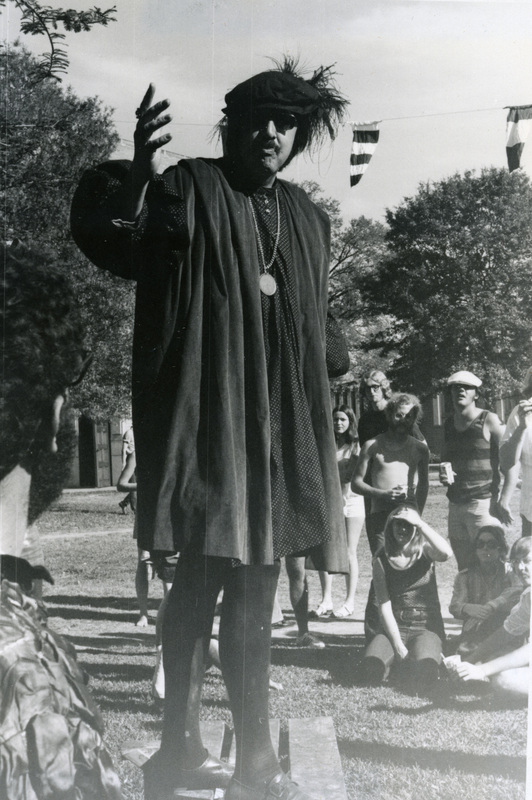 More pictures of the 1973 Baker Shakespeare Festival?